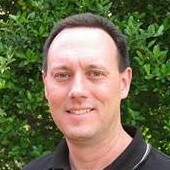 Charles M. North is department chair and associate professor of economics at Baylor University. He holds a B.A. in Business Administration and an M.B.A. from Baylor University, a J.D. from Duke University, and an M.S. and Ph.D. in Economics from the University of Texas at Austin. His areas of expertise are the economics of religion, labor economics, law and economics, and applied microeconomics. His work in the area of religion has focused on the effects of government regulation of religious markets and the linkages between religion and economic growth. His work has been published in several peer-reviewed journals, including the Journal of Money, Credit & Banking, the Southern Economic Journal and the Industrial and Labor Relations Review.